Based on your parking account, you are authorized to park in one of the areas or zones around campus. Each area has one or more lots or garages, and each lot or garage offers specific amenities. Request parking. Note: Currently, the campus has 14 charging stations for electric vehicles, offering a total of 24 pumps. The pumps are located at the Stata and E62 garages, the North Area at Building 46, and the West Area at WW15. 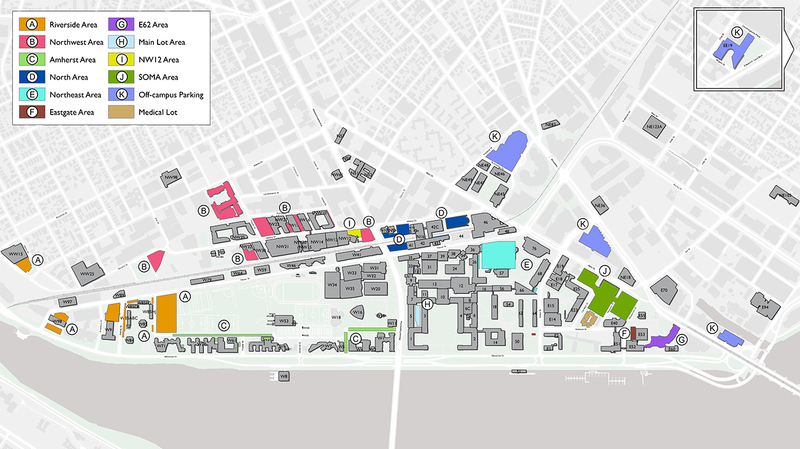 Click on the parking location names in the grid below to connect to an interactive campus map.